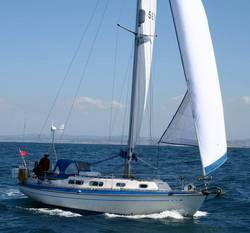 Barbican Yachts were based in Plymouth and were formed in 1978 to produce the 3 Barbican Yacht models, the Barbican 30, Barbican 33 and Barbican 35. Strangely, the 3 yachts have been designed by different architects, the 30 having been created by John Sharp from the Halmatic 30 design, the 33 a Maurice Griffith design - originally produced as the GH33 and then the Atlantic Clipper 36 whilst the 35 is a Holman & Pye design. The yachts have a diverse history but are known as capable cruisers and solidly built craft, many having been improved and updated through their existence. 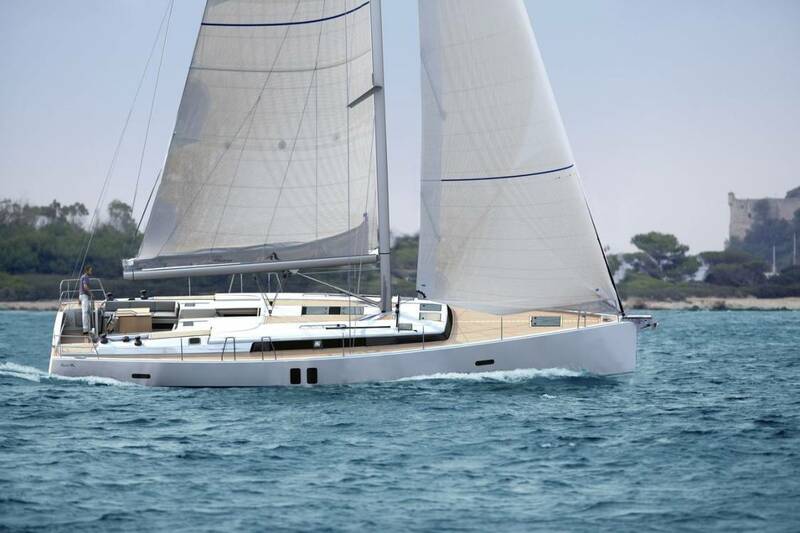 By design , they offer steady performance and surprising handling from the mainly long-keeled yachts, though bilge keel and centreboard versions werre made. Many were customised, especially above decks, and some were sold as projects with hulls being supplied for owners to complete the build to their required specification. Barbican Yacht Construction Company were created in 1978 and built the hulls for the 3 models whilst Terry Erskine Yachts were responsible for the fit-out and completion of the yachts. When Terry Erskine Yachts ceased building the Barbican Yachts in 1981, the Barbican Yacht Construction Company continued to produce the boats, though many were sold for owner completion. Prior to the formation of the Barbican Yacht Construction Company, The Barbican designs were created from varying backgrounds, the Barbican 33 having first been commissioned by Hartwell Boat Builders as a replacement/update to their Golden Hind 31, though only one Golden Hind 33 was ever produced by Hartwell before their closure. Terry Erskine acquired the rights to the Golden Hind whilst the 33 mould was purchased by Philips & Sons Ltd, who produced an aft cabin version for the London Boat show called the Atlantic Clipper 36 and showed some success in the early 70's despite a radical cosmetic appearance (!). Philips stopped production of the Atlantic Clipper in 1975 and shortly after this the Barbican Yacht Construction Company became the owners of the Atlantic moulds from which they produced, alongside Terry Erskine Yachts, the Barbican range we know today.